Christian Family Eldercare is an organization designed to assist people to care for older adults in their families, neighborhoods and churches. Caring for older adults in our homes may also affect the family economy. For more information, go to http://christianfamilyeldercare.org/. Carmen and her daughter Ellie spoke at the first CFE in 2015 on Becoming Wise, Imparting Wisdom and Connecting the Generations and The Power of Language to Create Culture. Come join us! Link to conference. We have visited the "beautiful old people" (the term we use in our family) since our daughter Ellie was 2. She was born in 2005. That's going to look good on a resume someday, don't you think? \''/ That's not why we do it, of course, but visiting our older friends has definately brought a double blessing: we bless them, they bless us. 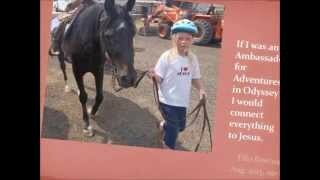 We take friends, people from church, other homeschooling families. We intentionally meet and greet by shaking hands and sharing names each time. We then have the kids perform something. This is no so much for the elders, however, as so many get entertained to death" but more for the kids to experience being in front of others. And what a forgiving audience. We then ask the elders for their wisdom; older people are not often asked their opinion or advice. We have pages and years worth of wisdom from our elders. After this collection of wisdom, my favorite part, we give the gift of touch in the form of hugs before we go. 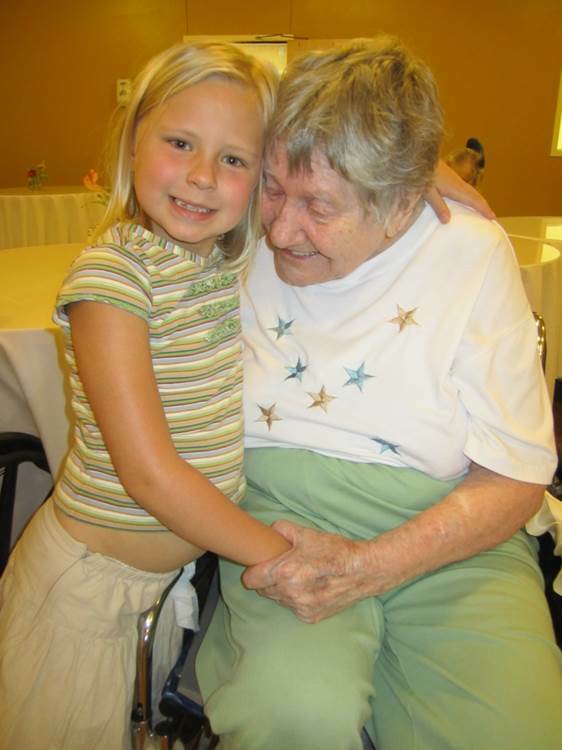 On a big day, elders can receive up to 20 hugs before we go! Carmen loves to speak on this subject to any group that wants to think about it (homeschool conferences, support groups, any group interested). Becoming Wise, Imparting Wisdom and Connecting the Generations handout from Christian Home Educators of CO conferences June 2011 and June 2014. Explanation of our ministry to the beautiful old people who live in the nursing home nearest our home by my daughter Ellie when she was 8. Ellie Ministry to Beautiful Old People video clip.